I have been a member of Roundhill Tennis Club since the age of 15. At present I am the Chairperson of the club overseeing all aspects of Club life. I am also a tennis coach helping club juniors and adults. Previously I have taken on the role of Ladies captain where I am still a member of the ladies first team and a member of the National Club league team. I now play County tennis for the Veterans teams after 25 years of Junior and Senior County Tennis. I have also represented England in the ‘Four Nations’ competition on several occasions. I was a 'lapsed' tennis player until my enthusiasm was rekindled by the warm welcome and the tenacious encouragement from Roundhill and its coaches. Often you will now find me on the courts at 8am on weekends getting in some well needed practise. I have played for Club teams as well as being able to captain one. I am a long standing member of the Club, playing at all levels. I am a coach and also a member of the Junior Coaching Committee. As part of my 'non-playing' role, I oversee all maintenance and upkeep of the grounds and Clubhouse structure. I joined the Club in my early teens and developed a real ‘love’ of tennis and of the Club. I have previously served on the Committee in various roles, including men’s captain and social secretary – and I have also contributed in other ways such as organising the Club tournament and winter tennis competitions. 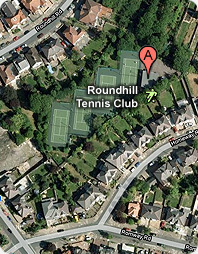 I joined Roundhill TC in 2008 after the closure of my 'old' Club, Hillside. I have been a member since 1971 when I joined as a relative beginner. I have always been active in supporting the club's social activities and I have been a member of the Social committee for several years. I was actually the House Manager for several years in the 1980's and now I am looking forward to taking up the reins again with a much more up-to-date Clubhouse and facilities. I have been a member of Roundhill TC for the last 25 years and I have represented the Club at all levels. I have been a member of the club for 11 years(although it feels a lot longer)! I am currently Ladies Club Captain,a role which i have been doing for the last 3/4 years,and i really enjoy this 'honour'.The girls do make it a pleasure for me ,most of the time! I am also on the Main committee and the Social committee.The social 'girls' put up with me even though i don't do kitchens! !I am very good though at collecting money! I recently 'retired'after working for 40 years(& 3 months! )at the Alliance & Leicester(now Santander)!! I regard myself as a relatively 'new' member of this long established Club. I am on the Committee as the 'Mens Rep' in order to mainly represent the views of the male membership, however this is not an exclusive role as with most roles on the Management Committee. As a very keen and active tennis player for the last 30 years (and one of the remaining Hillside Tennis Club members here at Roundhill), it has been a pleasure to be part of a friendly and very accommodating Club - a Club that has made us feel at home after the 2 Clubs almalgamated. I would like to think that in this new role I now have, if I am as half as successful as my predecessor, I shall be more than happy. Being part of Roundhill for the past 10 years has been a large part of my life. Over those years I play tennis (socially & in matches): run social events for the juniors: support the junior coaching sessions and I am also the Club Welfare Officer. I look forward to this additional role I am now in - and being part of taking Roundhill forward and safely. All of Roundhill Tennis Club's Safeguarding policies can be found in the 'Welfare Information' folder and there is also a 'Welfare' section on the Club's notice board. We ask all members to try to familiarise themselves with this important information - especially our 'Code of Conduct' guidelines, which we expect ALL members and visitors to adhere to -(as defined by the LTA). I have been playing tennis for about 20 years and I have been a member of Roundhill for the last seven years. I thoroughly enjoy all aspects of the Club. I play in many league teams, summer, mixed, veterans, LOROS etc. I also make an effort to attend as much social and 'mix in' play as I can. I see my role on the Committee as a challenging and dynamic one. I intend to be a good 'listerner' to any related issues that are raised by any member - or their family. Thereafter I willl undertake to confront and resolve such issues in the most appropriate way - calling on my collegues to assist, if necessay.